Creative people have long been drawn to Berlin. A pulsing metropolis filled with artists and writers, the streets of Germany’s capital city have proven inspirational to people from around the world as they pursue their own dreams. While some may leave after just a few years, others have made Berlin their home, channeling the inspiration they find in their communities into creative endeavors. That’s true of several of the top designers showing their autumn/winter 2019 collections at Berlin Fashion Week until January 18. Not originally from Berlin, they came to the city and started labels of their own. Using elements of their own culture, designers like Leyla Piedayesh of lala Berlin have created a unique take on German fashion. 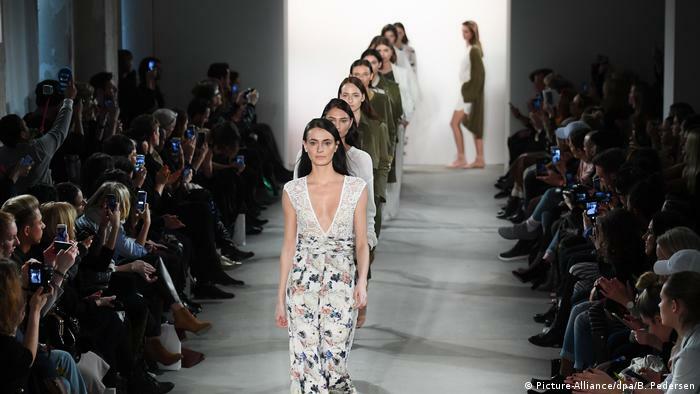 lala Berlin, perhaps one of the city’s most visible fashion labels, has developed a trademark look as it draws on the patterns and mosaics that were a common part of Piedayesh’s childhood in Iran and later, Germany. William Fan, on the other hand, creates minimal looks that both stand out and appear neutral. Genderless and simple in cut, the designs are a fusion between Fan’s Asian heritage (his parents emigrated to Germany from Hong Kong) and his European upbringing. It’s not only in aesthetics that Fan plays homage to the two worlds he has known; production for his clothing line, based in Berlin, is divided between Hong Kong and Germany. While the range of styles and aesthetics are as diverse as the designers’ backgrounds, the common thread running through these brands is the ways in which their looks have been inspired by Berlin. Designer Odely Teboul came to Berlin from France several years ago; for six years, she and a partner made a name for themselves under the label Augustin Teboul. As other Berlin brands, like Hien Li, have become well-known around the world and gone on to show in other cities including Paris, Teboul has remained loyal to her adopted hometown, branching out on her own to create the Lou De Betoly label. 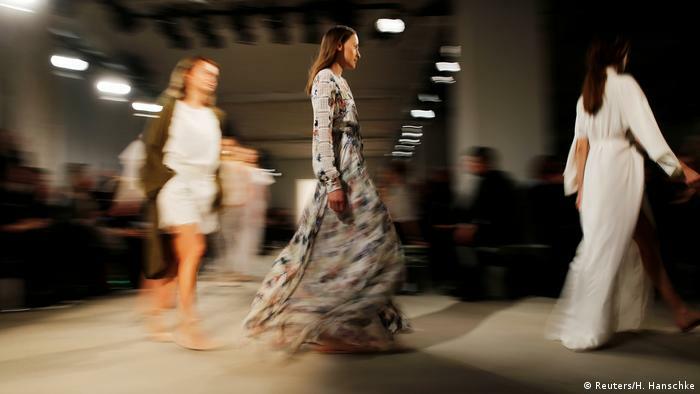 It’s this loyalty to the city that is on display this week at Berlin Fashion Week, as runway venues around the city fill up with the creations of numerous designers who have chosen to call the capital city home. 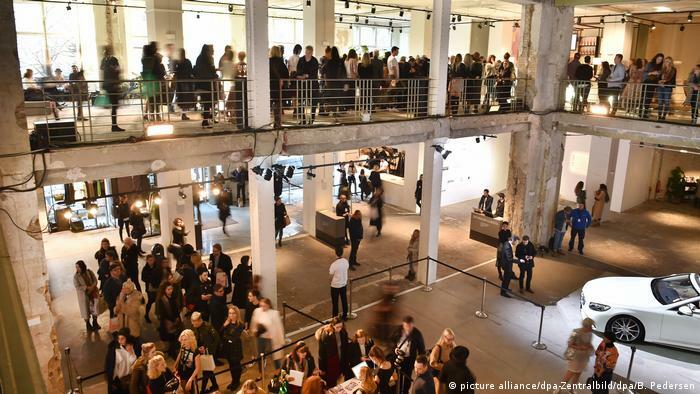 While Berlin Fashion Week has become a semi-annual tradition, it’s not yet on par with the Big Four. “Vogue” Germany’s editor-in-chief Christiane Arp is OK with that, saying she’d like to focus on promoting the talented designers Germany has at home. This week’s schedule reflects that, with a majority of labels showing in Berlin coming from around the country. 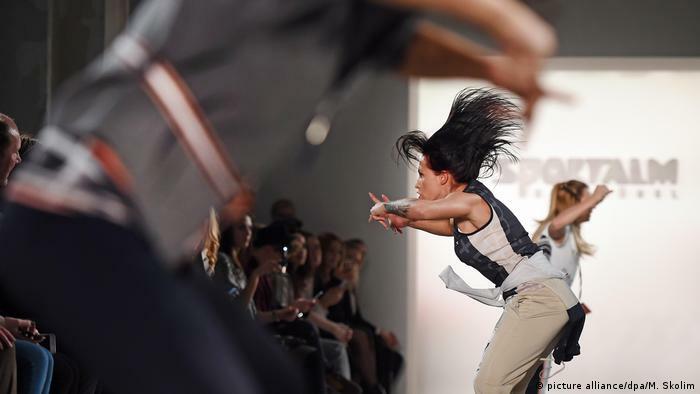 After spending several seasons in the shadow of the Brandenburg Gate, the runway events on the official Mercedes-Benz Fashion Week schedule have moved. The autumn/winter 2017 collection showings are now held in Berlin’s bustling Mitte neighborhood at the empty department store, Kaufhaus Jandorf. It’s the former home of the GDR’s “Haus der Mode,” which has recently been reopened for events. Among the big-name designers on the official Berlin Fashion Week schedule is Holy Ghost, a label launched in 2010. Started by two friends with Yugoslav roots, Sedina Halilovic and Jelena Hofmann, the label is based in Munich but shows in Berlin twice yearly, including here at the AW2017 shows taking place in Kaufhaus Jandorf. Holy Ghosts sells their upmarket womenswear in 12 countries. 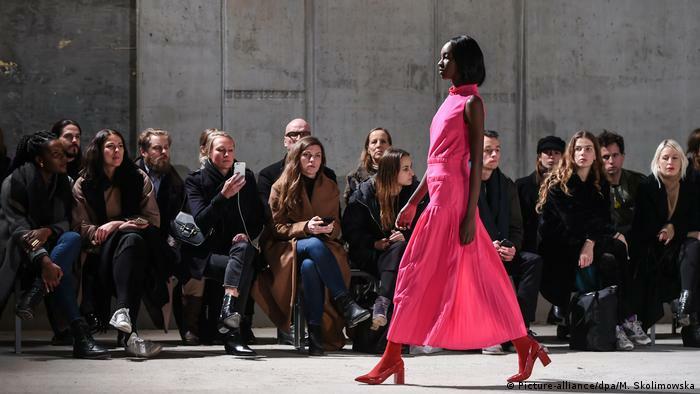 Inspired in her designs by the shape of the dirndl, traditional womenswear in Germany, designer Lena Hoschek appeared to be flouting the all-black aesthetic that’s become something of a trademark in Berlin with a bubblegum, balloon-filled show on Tuesday. 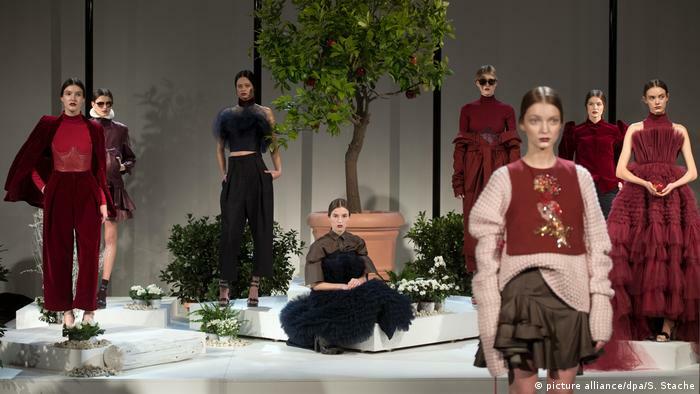 Designers, like many artists in Europe, may be feeling creative pangs due to the unstable political climate, but that isn’t showing up in their work. Here, Hoschek appears to be counteracting the doom and gloom with a springy gown that looks a bit bare for the autumn/winter weather. Danny Reinke’s show at the me Collectors Room also veered away from the signature black-and-white, featuring styles in maroon, burgundy and pale pink. 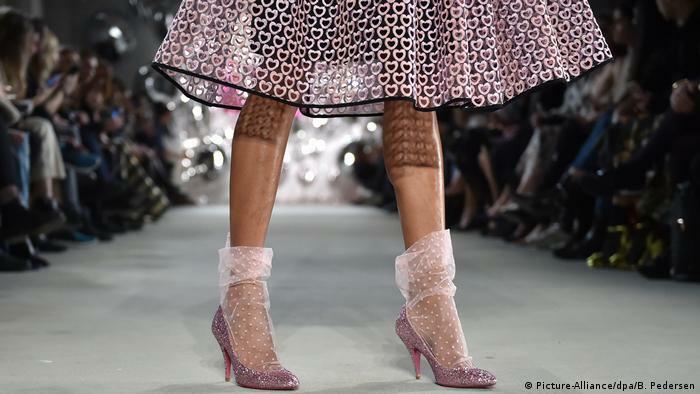 Reinke, a lecturer at the Fahmoda Academy for Fashion and Design in Hannover, is the recipient of the 2011 Golden Charlie innovation prize in the category “Gala and Festive Fashion” and the 2014 European Fashion Award. 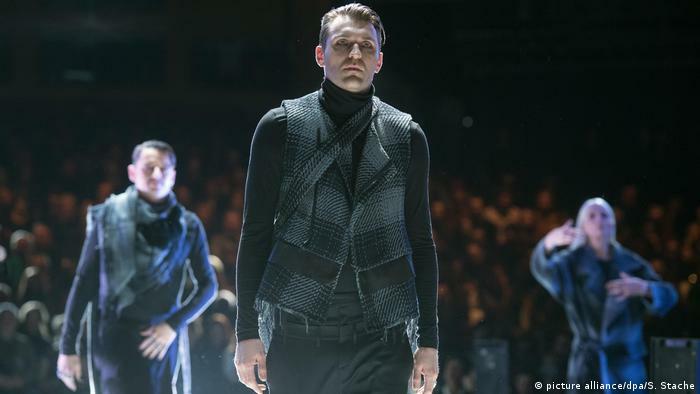 With her monochromatic styling, Esther Perbandt presented a return to the much-loved all-black look at her show at the Volksbühne on Tuesday evening. Perbandt, who was born and raised in Berlin, has also lived in Moscow and Paris, where she completed a master’s degree in fashion and textile design and did postgraduate work at the Institut Francais de la Mode. The Sportalm runway show on Wednesday was a high-energy affair, with models showing off the latest sporting fashions. The Tyrol company, which focuses on traditional costumes, activewear and ski outfits, is based in Kitzbühel, Austria, and led by creative director Ulli Ehrlich. Sportalm took the week’s autumn/winter theme to heart. 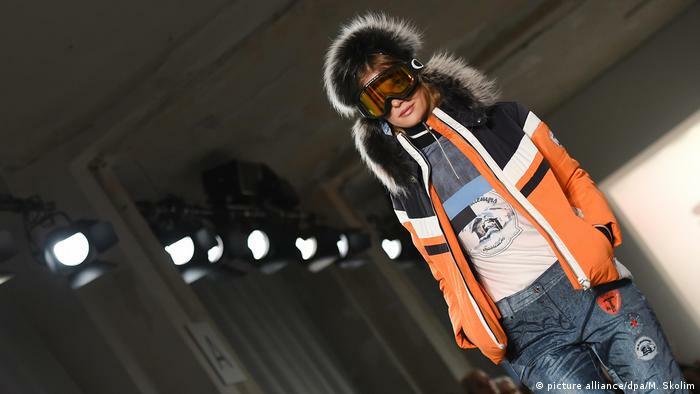 The show at the Kaufhaus Jandorf showcased the latest in ski apparel, perfect for hitting the slopes or simply strutting down the streets of Berlin (ski goggles optional).